In its early, unregulated days as a ride-hailing company, Uber introduced itself by simply showing up in major American cities. 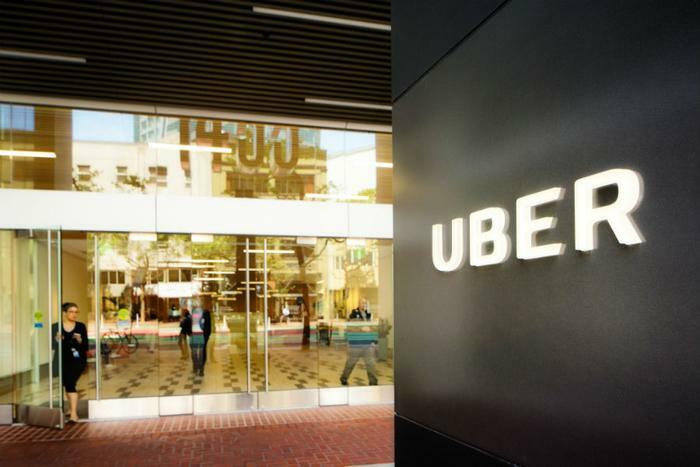 The company soon became known for angering an entrenched taxi cab lobby and local officials by claiming it shouldn't have to obtain permits because it is a ride “sharing” application and not a taxi service. The dockless bike industry, now the center of municipal controversies for suddenly loading thousands of bikes on city sidewalks and tapping a new unregulated market, would seem only a natural fit. Uber announced Monday that it is acquiring Jump, a New York start-up with an all-electric fleet of dockless bikes. “Today, we help tens of millions of people get a ride at the tap of a button. But our ultimate goal is one we share with cities around the world: making it easier to live without owning a personal car,” Uber’s CEO Dara Khosrowshahi said in a statement. Automated bike rentals that require only a credit card to unlock have taken off in recent years. The services started off as city-backed, public-private partnerships that involved months of planning before they rolled out on streets. In successful models, such as the Citi Bikes that unveiled in New York City and Miami, docks were placed in key destinations across town, allowing residents and tourists to take the rentals from point A to point B. But the red tape that came with building bike stations hampered efforts in other cities. In 2014, Dallas officials unveiled what came to be known as the world’s saddest bike sharing program, with exactly two bike-parking stations installed in the same deserted location. Three years later, a new breed of private bike sharing services suddenly dropped their inventory off in the notoriously bike-unfriendly city. The dockless company LimeBike placed 10,000 bikes in Dallas for its debut. With LimeBike and its competitors, the lock connects the rear wheel to the bike itself, allowing riders to leave their bike wherever they choose when they are done. “LimeBike eliminates docking stations by providing a flexible system of bikes that can go anywhere,” the company explains on its website. The business model has been enormously successful; both LimeBike and Ofo, a Beijing-based competitor, have raised millions of dollars from investors. But the model is also ripe for vandalism. In Dallas, pranksters have placed piles of LimeBikes in homeowners’ front yards; in one remarkable work of art, a LimeBike was sawed in half and attached to a telephone pole. Earlier this year, Ofo and LimeBike debuted in San Diego, where their inventory has already been thrown off cliffs. Residents and local officials also complain about stray dockless bikes blocking their driveway or the right-of-way in the middle of the sidewalk. But most companies have raised too much funding to give up that easily. LimeBike initially responded to criticism in Dallas by blaming residents for the pile-ups. The company back-tracked not long after, deleting the post and promising to increase its staff in Dallas to better manage the inventory. Jump may be able avoid such headaches with a built-in lock that attaches to a fixed object rather than the bike itself. In other words, riders won’t be able to stop the trip (and their credit card from being charged) by leaving the bike in the middle of a sidewalk. They’ll have to find a street sign or an actual bike rack. What cities will like look when electric bikes flood the streets remains to be seen, as the industry is still in its “testing” phase. In Washington D.C., Jump rolled out its services with just 20 bikes to start. In San Francisco, the company recently won an exclusive permit from city officials that allows for 250 bikes at the behest of its non-electric competitors -- though LimeBike and others also plan on rolling out their own electric fleets in other cities as well. The bikes can travel up to 20 miles an hour and at times act more like a motorcycle than a bicycle, requiring riders to take the streets rather than car-free bike paths. There is no guarantee that the battery will be fully charged when riders hop on; according to the company, the batteries last approximately 40 miles. Once they lose charge, users will have to be in decent enough shape to handle a 210 pound bike manually. The service may also raise privacy concerns. According to Jump’s rental agreement, riders will be photographed and recorded while they are on the bike. “We reserve the right to photograph and record You using the Bicycle(s),” it says. The company has not yet returned inquiries about its batteries and waiver.